Foaled in 1934, the 16.3 grey Thoroughbred stallion Bonne Nuit’s influence on American Show Jumping is immeasurable, even today. Bonne Nuit (“good night” in French) was by the imported Irish Thoroughbred stallion Royal Canopy, out of the imported English Thoroughbred mare Bonne Cause, by the French Thoroughbred stallion Elf. He was foaled in Virginia at Llangollen Farm, owned by Liz Whitney and shared with her husband (at the time) John Hay “Jock” Whitney. Mrs. Whitney had been given the 2200-acre farm by Mr. Whitney as a wedding gift in 1930. Liz Altemus Whitney grew up in Philadelphia to a prominent family. She started riding at an early age. It was through horses and her social circles that she met Jock Whitney. Mr. Whitney was a member of the very wealthy Whitney family of New York. His grandfather, father, uncle, sister, and himself were all heavily involved in Thoroughbred racing. The Whitney Handicap, that is run at Saratoga every Summer, is named after the family. Not content to just watch her husband’s horses run, Mrs. Whitney set up her own operation at Llangollen (“land’s end” in Welsh). She started breeding top race horses and champion show hunters in addition to having a large training center at her farm for both show and race horses. Mrs. Whitney did much of the riding herself. 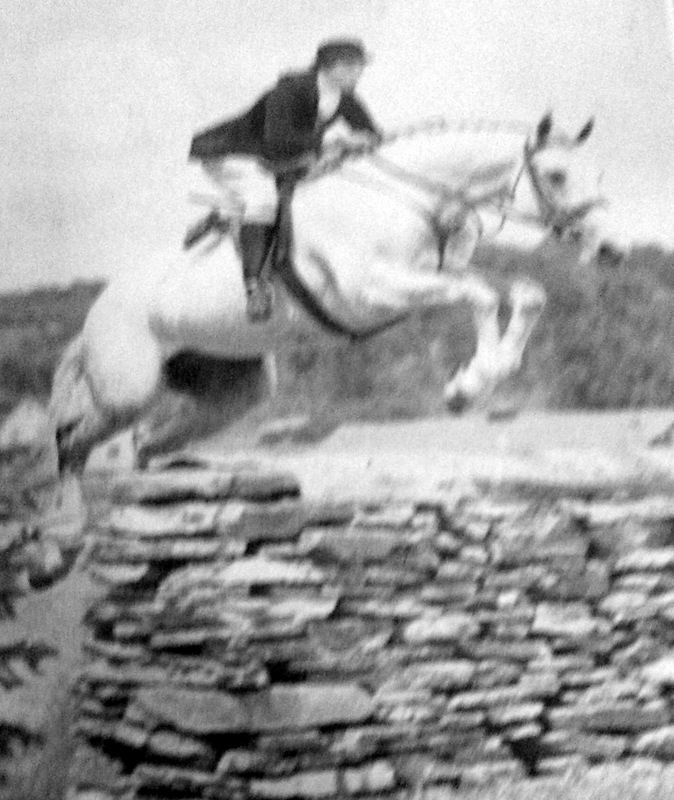 One of Mrs. Whitney’s first show hunters at Llangollen was The Grey Knight, who was the first foal of the breeding of Bonne Cause to Royal Canopy (which made him a full brother to Bonne Nuit). He had been too unruly on the racetrack, so he returned to the farm and Mrs. Whitney started riding him. After being gelded, he turned out to be one of the best show hunters in the country in the early 30’s (even though he was still difficult to ride). He was part of Mrs. Whitney’s first renowned Hunt Team of greys in 1932, which won at all of the major shows, including The National Horse Show. 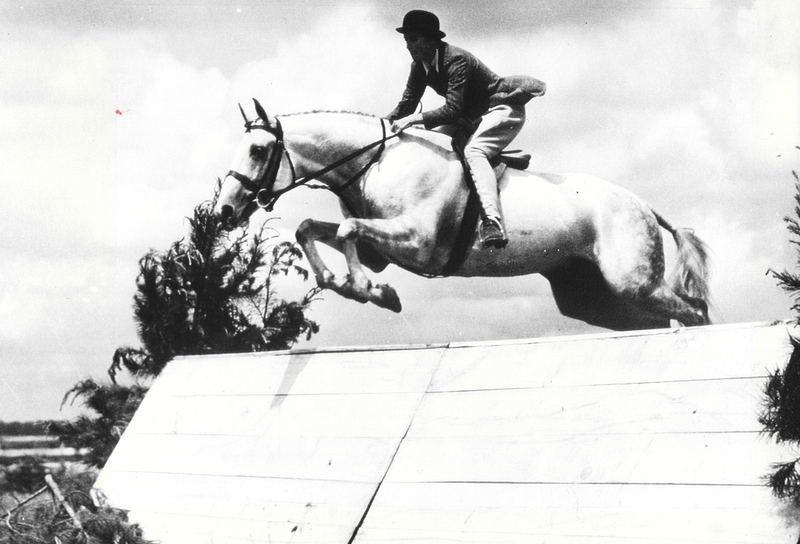 After six years of showing at The National, The Grey Knight was Champion Hunter in 1937. Little is written about Bonne Nuit’s life as a show hunter, but the tales abound. Although, it is not written anywhere, many have heard the story about the night that Mrs. Whitney wasn’t invited to a party at the Warrenton Springs Club after a horse show. Not one to be left out of a good party, Mrs. Whitney tacked up Bonne Nuit (who was in the trailer after showing all day) and galloped him down to the stone wall that was six feet high surrounding the party. He soared over the big wall and into the party, much to the surprise of the guests. Mrs. Whitney was a real character. A 1939 Time Magazine article describes her as “a spirited, devil-may-care rider who has been winning blue ribbons on the horse show circuit for fifteen years.” That would help explain the story about her galloping into the ring, straight to the first fence at Madison Square Garden. Bonne Nuit over the wall! 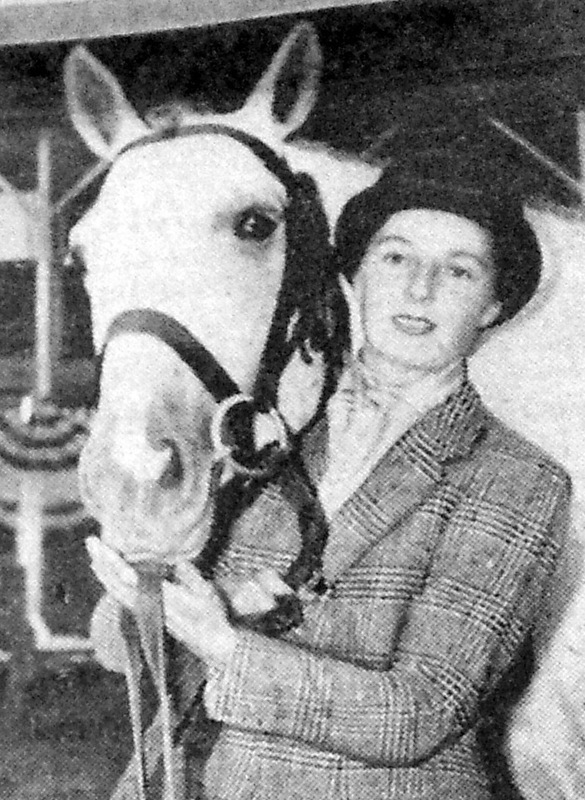 In the late 30’s and early 40’s, when major stables each had their own Hunt Team to compete at the big shows such as The National, Mrs. Whitney had her second Hunt Team of greys in a team of all stallions consisting of Bonne Nuit, his son Night Lark (most notably sire of US Equestrian Team horses Night Spree and Out Late), and Great War (sire of Show Jumping Hall Of Fame inductee Circus Rose also known as Miss Budweiser). 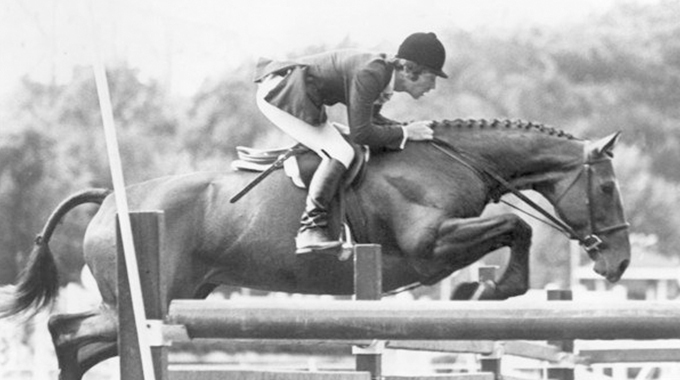 They were a force to be reckoned with, winning at A shows from Upperville to the Garden. The impact of Bonne Nuit on American Show Jumping starts with his get (several of whom represented the US in International competition), then continues on to his sons who were powerful sires in their own right, and his daughters who produced great Jumpers. 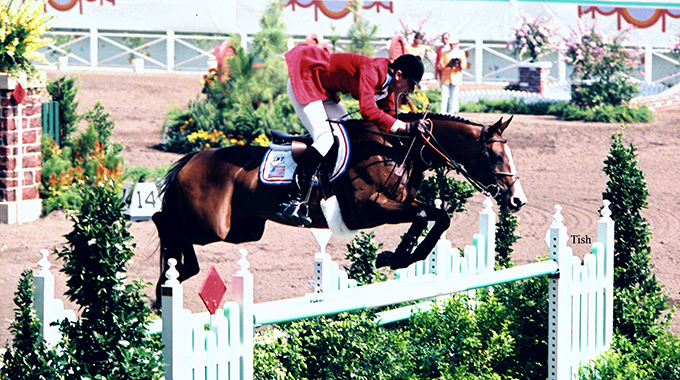 Some of the top horses sired by Bonne Nuit were Riviera Wonder (US Team member ridden by Bill Steinkraus, 4-time National Horse Show Open Jumper Champion, and now inducted into the Show Jumping Hall Of Fame), Night Lark, Night Owl, Hollandia, Evening Out, New Twist, Grey Aero, Bonte, Ping Pong, and National Show Hunter Hall Of Fame inductee Sombrero. Bonne Nuit sired more than a dozen International jumpers. In the early days, most of the jumper classes were “touch classes” so you needed a very careful and clean-going horse, which all of the get of Bonne Nuit were. Night Lark, a son of Bonne Nuit (foaled in 1939) also made a name for himself as a sire of great jumpers. Among them, Night Spree (winner of the President’s Cup at Washington with Neal Shapiro riding), Out Late (a USET Nations Cup team member ridden by Carol Hofmann), and Catch On Fire (who sired many great hunters). Another of Bonne Nuit’s sons, New Twist, sired Good Twist, who in turn sired Gem Twist, among many others. 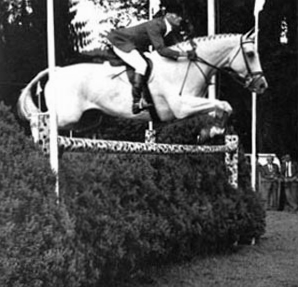 As a broodmare sire, Bonne Nuit’s best traits also shown-through in his grandchildren like Bonte II (by Avant Garde – Nation’s Cup horse ridden by Joan Boyce and Joe Fargis), Gustavus (by Kitchen Police – two-time AHSA Open Jumper Horse Of The Year ridden by Rodney Jenkins), and Night Murmur (by Blue Murmur – Puissance winner and British Team member). In the history of breeding horses for the show ring, it is doubtful that there will ever be another stallion that makes an impact like Liz Whitney’s Bonne Nuit. Bonne Nuit has been inducted into the National Show Hunter Hall Of Fame. 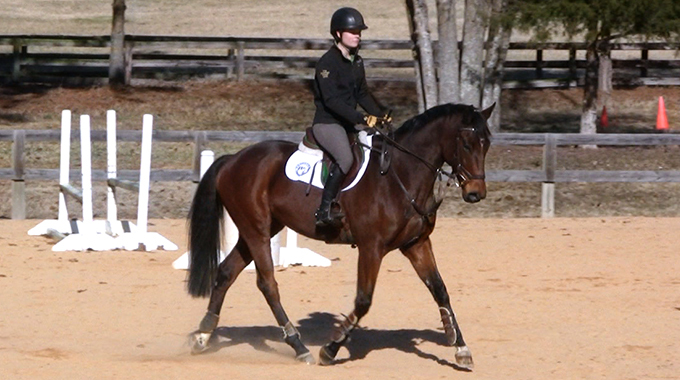 I have a linebred Bonne Nuit stallion. Love these lines!!! I have a linebred Bonne Nuit stallion. Love these lines! You’ve done it again Marianne – a fabulous article, well written, great pictures, and wonderful history. Thank you for bringing the fabulous past to life again by showcasing these incredible horses and their stories. Great article,Marianne! I love reading about bloodlines & their influence through generations. Bonne Nuit surely remains amongst the top influencial horses of the 20th century. Thanks for the article.